Finmarc Management, Inc., a commercial real estate firm headquartered in Bethesda, Maryland, has announced through a joint venture the purchase of 3409 Wilson Boulevard, an 85-unit former AKA Luxury Suites Residences located in the Rosslyn/Ballston area of Northern Virginia for $39.88 million. 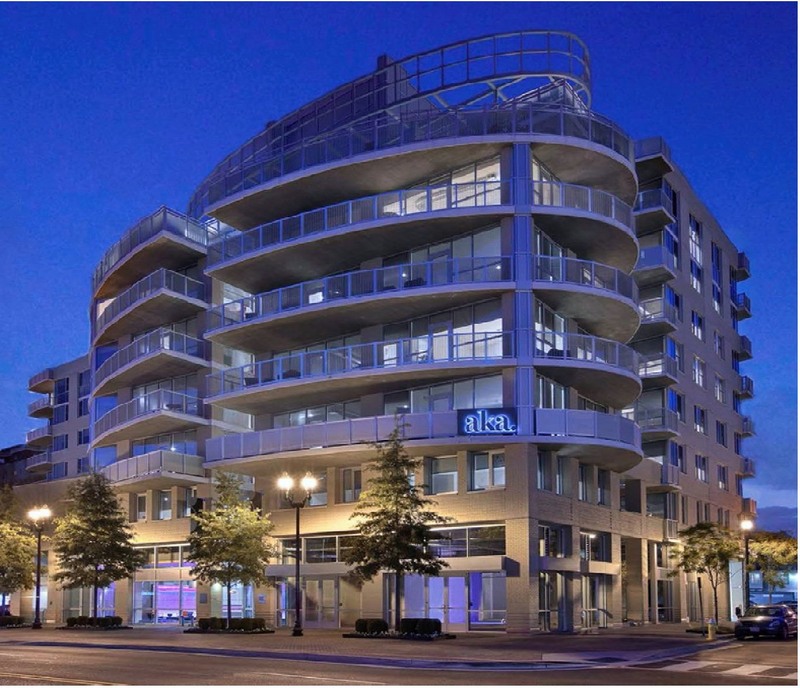 The eight story building features a masonry and glass exterior, is located within immediate proximity to downtown Washington, D.C. and is served by five stops on the Washington Metro Orange Line. The project is approximately two blocks from the Virginia Square Metro Station between Ballston and Clarendon and within walking distance to all the restaurant and retail offerings of both neighborhoods. Finmarc intends to immediately initiate an extensive renovation and improvement strategy with the investment of more than $6 million to upgrade the existing residential units, common areas and amenities in order to convert the building to luxury condominiums. Management of the project is being handled by Finmarc’s joint venture partner, The Goldstar Group. Sales are expected to start in September 2014 and are being handled by Alexandria-based McWilliams | Ballard. With the purchase of this asset, over the past 23 months Finmarc, along with its partners, has acquired or disposed of more than $400 million worth of properties. Senior debt was provided by Wells Fargo and debt and equity was arranged by Metropolis Capital Finance. Finmarc Management, Inc. is a fully-integrated commercial real estate company focusing on the real estate investment, management, leasing and development of retail, industrial/flex projects, and office buildings throughout the Mid-Atlantic region. The firm presently manages a diverse portfolio encompassing more than five million square feet of space situated in Maryland, Washington, D.C., Virginia, Delaware, New Jersey and Pennsylvania. For additional information, visit www.finmarc.com. The Goldstar Group is a privately-held firm strategically focused on commercial real estate investments and services on behalf of its clients and principals. Primarily focused in the Washington DC metropolitan area, Goldstar’s core capabilities include acquisitions, development, asset and property management, advisory services and capital markets transactions. Founded in 1995, Goldstar has more than 19 years of experience investing, developing and managing all classes of real estate and financial products on behalf of our clients. Goldstar is a boutique firm and as such operates in a nimble and efficient manner, while offering the in‐house experience and capabilities of a large firm.